Character abilities grant massive boosts to your office. The more your characters level up, the stronger their character abilities will become. Be sure to upgrade your characters (and collect new characters) by buying Character Packs with Flair and picking up your free Small Pack once every six hours! Try all different sorts of combinations to get the most out of your character abilities! A full character list can be viewed by tapping Human Resources in game. We also have a complete [spreadsheet of characters] in the game you can view and refer to for any clarification. 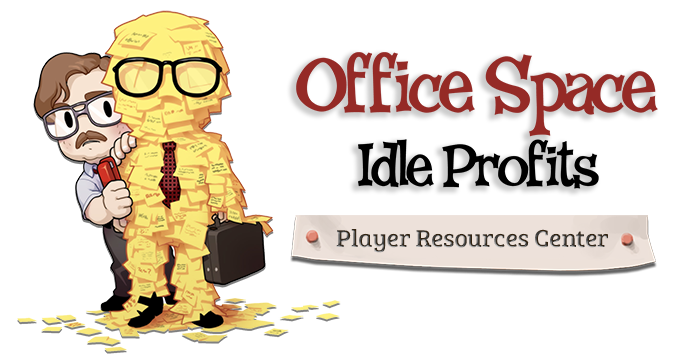 What are the Human Resources (HR) files, and how do I level up my Characters? What are Red Staplers? How do I earn more? I’m having problems with crashing, lagging, overheating, or loading Office Space: Idle Profits.